Talk of a minority government in P.E.I. A well-known runner collapsed at the finish line of a popular Maritime road race and, had the right people not been there in the nick of time, things might have been much worse. Tom Cholock doesn't usually head out for a run by himself, but on Monday he did so with his running partner in mind. 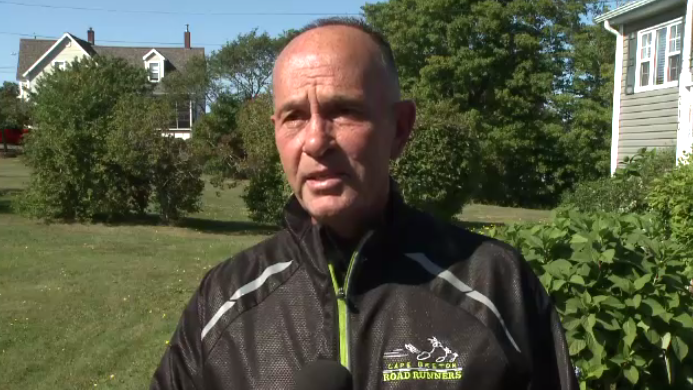 Tommy Turner collapsed 10 feet away from the finish line after running a half marathon in Sunday’s Cape Breton Fiddlers Run. Cholock says Turner has many years of running experience and several marathons under his belt. But as people cheered Sunday, Cholock says Turner appeared to stumble before collapsing to the ground. Doctor Chris Milburn was one of the first on scene. 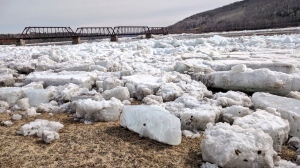 According to Milburn, medical staff performed CPR before Turner was taken by ambulance to the Cape Breton Regional Hospital and is currently in an induced coma and listed in serious condition. Milburn says important to remember running is safe and in some cases saves lives. Cholock says he will continue his daily routine, but with his running partner and his family in mind. With files from CTV Atlantic’s Kyle Moore. “You never realize or expect that one of your good running buddies would be down on the ground like that,” Tom Cholock said. 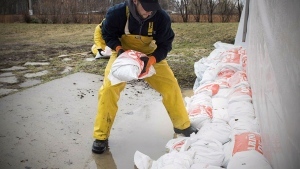 A year after history-making floods, people living along the St. John River are being warned to brace again for significant flooding over the Easter weekend -- even as some weary residents continue repairs from prior events.